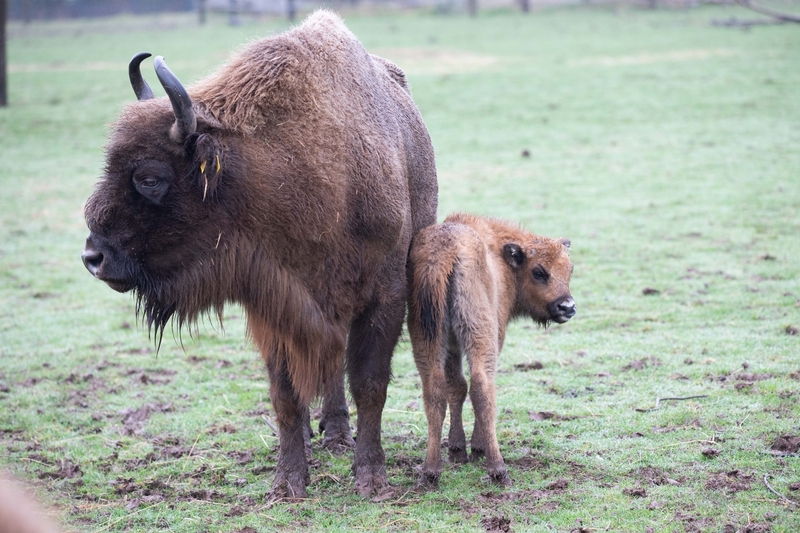 Fota Wildlife Park has announced the birth of a female baby European bison (Bison bonasus), who was born on January 4 to mother Erika and father Hyssop. Seventeen-year-old Erika is one of the founding members of the Fota herd. She originally came from the Skansen Foundation Zoo in Stockholm, and this new calf is her 13th birth. Erica has over 50 grandchildren in various zoological institutions across Europe, all of them participating in the coordinated European Endangered Species Programme (EEP). The father is the dominant bull of the herd, Hyssop, who came to Fota from Port Lympne Reserve (UK) five years ago. Classified vulnerable by the International Union for Conservation of Nature (IUCN), the European bison is the largest land-mammal species in Europe. Last month, Fot Wildlife Park director Sean McKeown and lead ranger Aidan Rafferty visited Vanatori Neamt Nature Park in Romania to see how well two female bisons from the Fota herd were thriving since they were sent there as part of a re-introduction programme in 2014. Production company Red Pepper filmed this for Virgin Media Television as part of a four-part documentary series about Fota Wildlife Park, which is coming soon to Virgin Media One. 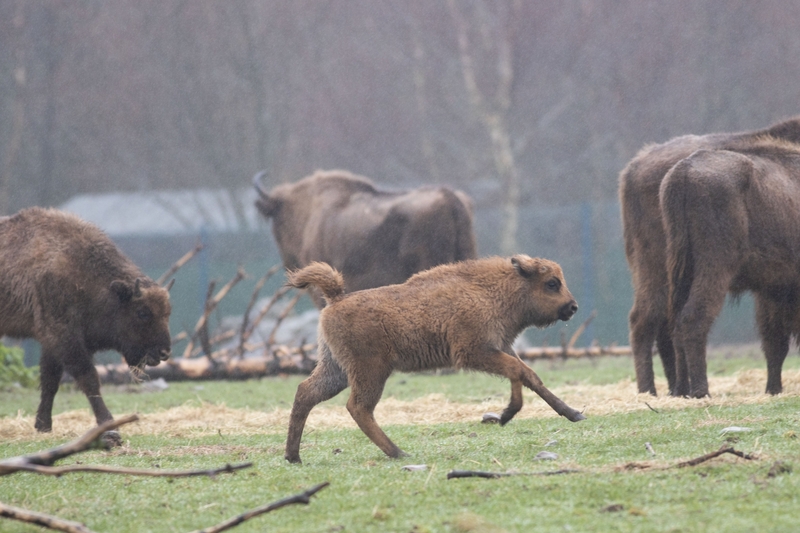 “It’s very exciting for us to welcome a new female calf to the herd, especially as the European bison was extinct in the wild but has since undergone a population regrowth thanks to the efforts and coordinated initiatives from zoological institutions, including Fota, as the species has been re-introduced from captive populations back to their native habitats in Eastern Europe," says lead ranger Aidan Rafferty. Fota Wildlife Park is a not for profit conservation organisation which participates in the European Association of Zoos and Aquaria EEP and has been involved in the conservation and reintroduction of some species that are extinct or close to extinction in the wild, such as the scimitar-horned oryx as well as the European bison. The European bison, also known as the wisent, is a distinctive looking animal with a thickset body, short neck and a visible hump at the shoulder (the forest dwelling European bison are narrower in frame than the American plains bison). They have a dark brown mane under the neck and forehead, and visitors will notice that the bisons at Fota are currently moulting their rich winter coats. As the largest land mammal in Europe, a big bull can weigh up to 1,000 kilos and can reach a height of six feet. Fota Wildlife Park is open daily from 10am to last entry at 3pm. More details are available on Fota Wildlife Park's website.